Having just finished preparing our taxes, my attention has now turned to minimizing our risk of being audited. While we haven’t done anything sketchy, and I also know that the odds of getting audited are quite low overall, I still don’t relish the idea of having to fight an audit. 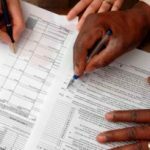 To that end, I thought I’d highlight some tips for avoiding an income tax audit that I recently ran across in Working for Yourself by Stephen Fishman. 1. Be neat, thorough, and exact. If you submit a paper return, make sure that it looks professional. This will help you avoid unwanted attention. Make sure you math is correct, and everything looks neat and clean. If at all possible, avoid round numbers such as $100 or 500 miles, as this makes it look like you’re guess-timating instead of taking numbers from accurate records. Be sure to include all necessary forms, and make sure that your state return is consistent with your federal return. 2. Mail your return by certified mail or use a delivery service. By doing this, you’ll have proof that they received your return even if somehow gets misplaced after the fact. The IRS accepts returns from three private delivery service in addition to the USPS: DHL, FedEx, and UPS. 3. Don’t file early. Unless you’re expecting a large return, you shouldn’t file your taxes much in advance of the due date. 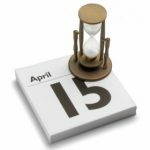 The IRS generally has three years from April 15th to decide whether or not to audit your return. Filing early just gives them extra time. You can narrow this window even further if you if you request an extension, which allows you to file as late as October 15th (though you still have to pay what’s due by April 15th). 4. Don’t file electronically. Given the expense of data entry, the book claims that the IRS only has about 40% 0f the data on paper returns transcribed. The paper returns are then warehoused for six years before being destroyed. Because audit decisions are made based on the transcribed data, filing a physical return supposedly reduces the odds of an audit. Given recent advances in scanners and OCR technology, I’m not sure that I buy this argument, but it can’t hurt. 5. Form a business entity. Audit rate statistics show that partnerships and small corporations are audited far less often than sole proprietors. Incorporating can thus greatly reduce your audit risk. The downside if the time required for incorporating and the more complex tax returns. Of course, it’s also possible that, on average, small businesses simply have better accounting than sole proprietors, thereby reducing the likelihood of an audit. 6. Explain items that the IRS may question. If your return contains items that you think might raise eyebrows, include an explanation and documentation. For example, if your return contains a large bad debt reduction, explain the circumstances and document that the debt is a legitimate business expense. If the IRS computers flag your return for an audit, an IRS employee will review it before actually triggering the audit. If your explanations and documentation look reasonable, you may save yourself some pain. 7. Avoid ambiguous or general expenses. Don’t list expenses under headings such as “miscellaneous” or “general expenses.” Schedule C lists common small business expenses. If your expenses don’t fit within these categories, create a new one with a specific name. 8. Report all of your income. The IRS is convinced that many self-employed individuals fail to report all of their income. As such, finding hidden income is a high priority. 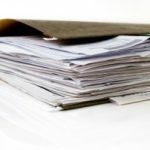 One of the primary checks that they run is to compare all 1099 forms that they receive on your behalf with your tax return to check for discrepancies. In my case, I also have a good bit of undocumented income (i.e., income that doesn’t generate a 1099), which likewise goes straight onto my 1040. While I’m sure many people get away with stuff like this, it’s just not worth the risk in my book. 9. Watch your income-to-deduction ratio. According to a statistics professor named Amir Aczel, who got audited back in the 1990s, the key factor leading to an audit is the ratio of your expenses to your income. Apparently his audit was so unpleasant that he did a statistical survey of over 1, 200 tax returns and then wrote a book about it (now out of print). So… If your business expenses amount to less than 52% of your gross business income, you are “not very likely” to get audited. If your expenses fall in the 52%-63% range, there is a “relatively high probability” of an audit. And if your expenses exceed 63% of your income, you are “certain to be computer tagged for an audit.” That being said, less than 10% of returns that are tagged for an audit actually get audited. While the specific thresholds identified by Aczel may or may not be accurate, a former IRS commissioner admitted during a CNN interview back in 1995 that your income-to-deduction ratio is a primary determinant of whether or not you’ll get audited. 10. Beware of abnormally large deductions. Beyond the sum total amount of your deductions, the IRS is also on the lookout for abnormally large individual deductions. Of course, the definition of “large” can vary from case to case. The book gives the example of a $50, 000 deduction for equipment — abnormal for a psychologist working at home, but perfectly normal for a construction contractor. How Are You Filing Your Income Taxes? #3 is not sound advice because the statute of limitations starts at the original due date or the date the tax return is filed, which ever is later. #9 makes no sense at all for any business that does a significant amount of sales. If you run a business that has sales of say $750,000 and make say $100,000 then your expenses are $650,000 which is clearly way above any 63% threshold. This ratio might make sense for some types of businesses but it clearly won’t fit any business with any significant amount of sales income. Those are great tips — thanks so much for posting that. This is my first year out of college with a full-time job, so my first time with a real tax return. I never knew anything about auditing (besides the fact that I didn’t want it to happen), so I feel much better equipped next time around. On #4: I love filing electronically. I get my refund sooner, I save moolah on stamps, and I save a trip to the post office. Clean, easy, no mess, no fuss. I do print all confirmation receipts and a copy of my return (just to be safe). Regarding number 5, this is my first year owning part of an LLC and I did all the taxes. I think I would actually prefer to go through an audit than do a 1065 and all those K-1’s again. Ok, I may be exaggerating, but only slightly.